Welcome to Abbotsford BJJ! We are the “Real Deal” and offer safe and effective Brazilian Jiu-Jitsu instruction to kids, teens, and adults. 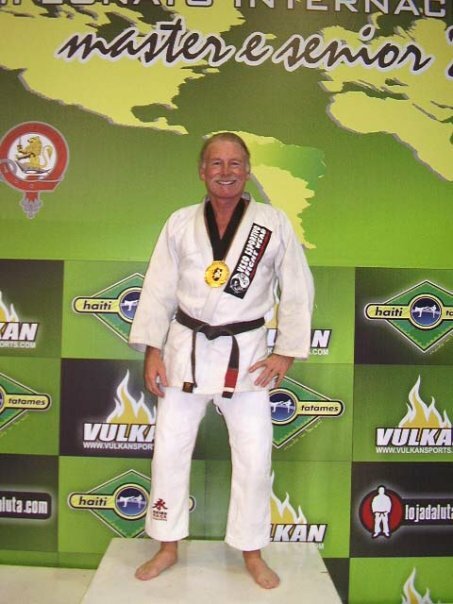 Our classes are taught by Bob McRoberts; a 4 stripe BJJ black belt who has trained extensively in Brazil since 1992. Bob is also a 5th Dan black belt in Shotokan Karate. Our past and present associations include those with Alvaro Barreto, Flavio & Sylvio Behring, Claudio Bueno, Mauricao Hunter, Paulo Strauch, Joao Vasconcellos and others. We are proud of our BJJ black belts and MMA fighters who include Curtis Brigham, Joe Doerksen, Kalib Starnes and many more. Try BJJ kid and adult classes. …is a martial art and combat support that focuses on grappling and ground fighting. Emphasis is put on using submission holds or chokes rather than punching or kicking. Lessons typically involve learning how to do a submission, how to escape an submission, and rolling (wrestling) with your opponent to gain advantage. We're offering free classes right now. Dive in and learn self-defense, fitness, and sport through BJJ. Find us at the classroom. We practice the most effective martial art for self defense. Join our classes to give it a try and start learning.